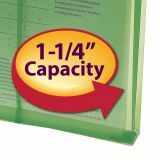 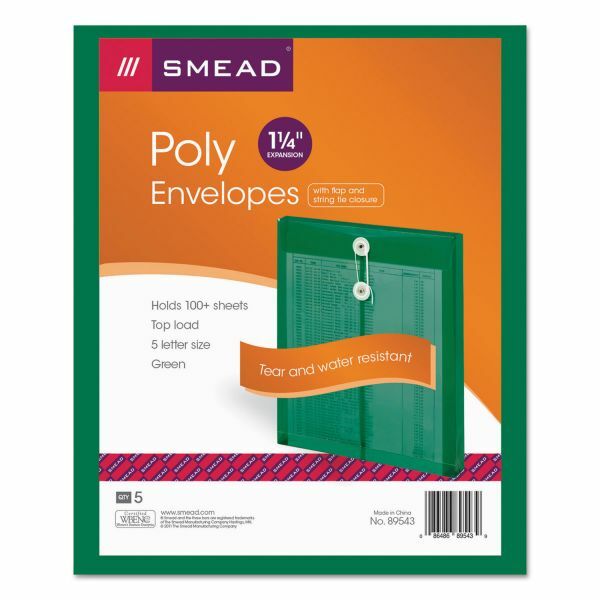 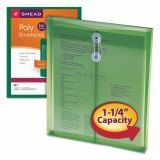 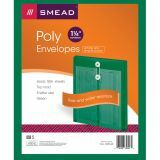 Smead Poly String & Button Envelope, 9 3/4 x 11 5/8 x 1 1/4, Green, 5/Pack - Heavy-duty polypropylene envelope resists tears and repels moisture. 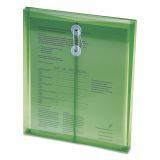 Comes in an attractive translucent color. 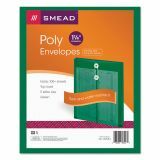 Tough, bright, and big envelopes open on the side and feature gussets that expands to 1-1/4". 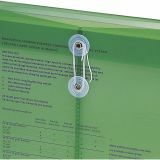 Envelope includes string-tie closure.